Are Ireland really the second best rugby team in the world? 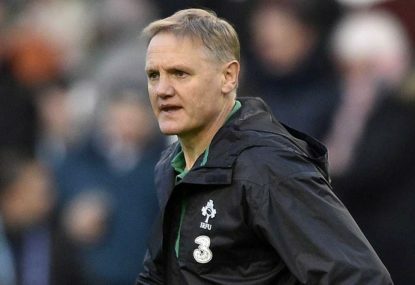 If we were living in an alternative world, where Heyneke Meyer was coaching Ireland and Joe Schmidt was coaching South Africa, would Ireland still be ranked second in the world? As an Irishman I still look at the rugby world rankings with a certain amount of bewilderment. Do we really have better players than South Africa and Australia? It is questionable. What we do have is quality in the key positions. We have tactical masterminds at half back through Conor Murray and Jonathan Sexton, which the Springboks and the Aussies arguably lack, and ferocity in the pack with Paul O’Connell, ‘The Tullow Tank’ Sean O’Brien and Cian Healy. The main strength of Ireland is their powerful rucking at the breakdown. Against England at the Aviva Stadium earlier this year, Ireland won an astonishing 117 out of 118 rucks. Contrast this with England who lost six out of their 84 rucks. Ireland have a number of potent poachers all over the field. O’Brien, Peter O’Mahony, Rory Best and Healy are all relentless at the breakdown. Ireland have a genuine chance of getting to at least the World Cup semi-finals. We should have too much nous for the French in the group stage, in what will be a critical game for both teams. France versus Ireland should be David versus Goliath, shouldn’t it? After all France has an incredible 360,847 registered rugby players. This is three times more rugby players than in Ireland. Instead the Rugby World Cup match is being branded by much of the media as the mercurial French versus the mundane Irish. This is the beauty of sport and rugby in particular. No team has a divine right to beat any other nation regardless of the population. It also features the individual battle I’m looking forward to most in the Rugby World Cup. The sight of Sean O’Brien and Louis Picamoles running at each other is sure to make any spectator quench. So how do Ireland compensate for inferior numbers? Much like New Zealand, with an abundance of intelligence and heart. “A smart man makes a mistake, learns from it, and never makes that mistake again. But a wise man finds a smart man and learns from him how to avoid the mistake altogether”. This is Roy H. William’s definition of intelligence and it certainly rings true in the case of Ireland and Joe Schmidt. With the former part bearing relevance to Ireland and the latter part Schmidt. The IRFU convinced the former Leinster coach to take charge of the national team in 2013. At the time Ireland were ranked ninth in the rugby world rankings. Since then Ireland have rocketed up to world number two. Ireland have won 13 of their last 14 games under him, and in general when they do lose it is because of a lack of quality at centres (ironically the place we used to be strongest at). A clear example of this was the 32 phases Ireland went through against Wales. The Irish centres were about as threatening as Donald Trump’s presidential campaign. Contrast this with the wide variety of quality centres South Africa and Australia have at their disposal. Ireland are defending Six Nations champions and have beaten everybody in the past two years apart from New Zealand. For this reason alone they are full value for their ranking.